Click the button below to add the Baby Boy Clothing Bouquet to your wish list. 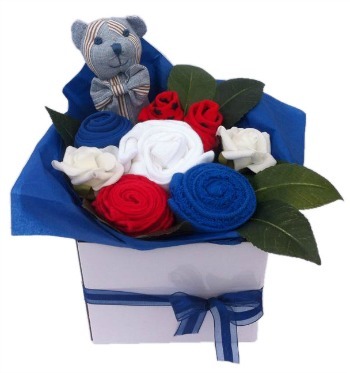 Our baby clothing bouquets are a cute and useful gift for a new mum and baby. Your baby bouquet is giftwrapped and comes with a complimentary gift card,which can include your own personal message.